The current economic climate has created a large inventory of Marin County foreclosures, short sales, REOs and bank owned properties. 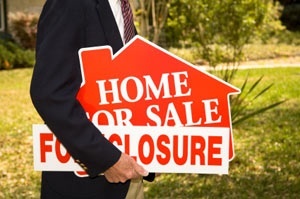 These homes can be a blessing or a curse to buyers and buyers should not attempt to purchase a short sale or foreclosure without the assistance of a licensed real estate agent. Please contact us for more information. A short sale is when the value of the home is less than the underlying mortgages and the homeowner is in default. The homeowner is now “upside down” and attempts to negotiate with the lenders before they actually foreclose on him which can be beneficial to both bank and the seller as it allows him to have a better credit rating overall. Marin is fortunate in that there not as many foreclosures and short sales as the rest of California where in some areas it represents 85% of the home sales. Most of these sales are in Northern Marin and are under $1 million and yet there are a number of homes in every price range and in all towns that are available as an REO or short sale. While the sale of bank owned REO’s can often be expedited fairly quickly, depending on the lender, short sales are cumbersome and can often take months before a decision is forthcoming from the lender. In both cases there is also the uncertainty of the condition of the house when a buyer is ready to move in. Below is a complete list of bank owned homes and short sales. Cosmetic Fixer, Totally Financeable, Perfect Fix And Flip, In The Best Neighborhood.